Christopher Robin & AA Milne. . Wallpaper and background images in the Винни-Пух club tagged: winnie winnie the pooh bear friends chritopher robin a. a. milne. I am an elderly lady and I never forget Winnie the Pooh that my aunt use to read to me before I went to bed. I have read the book to my children (desperate not to laugh to murch), and my children to their children, me as well. We laugh a lot all of us and have a marvelous time together. We love the book! 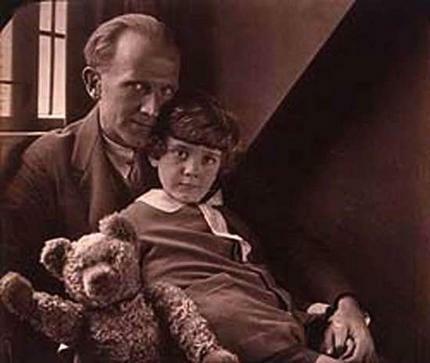 Does anybody else think that A.A. Milne looks like Bing Crosby?